Princess Ubolratana Mahidol hopes to shatter a long-observed division between royalty and politics. But the king, her brother, says her candidacy is "inappropriate." 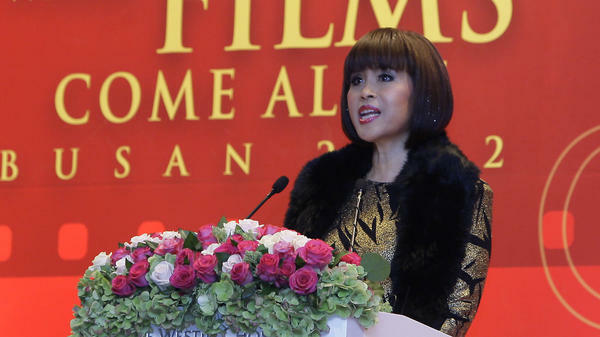 Princess Ubolratana Mahidol, the older sister of Thailand's King Maha Vajiralongkorn, is hoping to be a candidate for prime minister — a move that would mark a startling break with Thai royalty's long-observed practice of staying out of politics. But her effort now seems doomed, after the king spoke out against his sister's bid for office. Hours after Ubolratana's campaign registration papers were filed, the royal palace issued a statement in which the king said her candidacy is "inappropriate" and "unconstitutional," according to a translation by journalist Saksith Saiyasombut of Channel News Asia. The princess's candidacy landed like a bombshell when her name was submitted to the election commission on Friday. The move would have pit Ubolratana, 67, against current Prime Minister Prayuth Chan-ocha, the leader of the military junta that ousted former Prime Minister Yingluck Shinawatra in 2014. Ubolratana was put forth as the lone candidate from the Thai Raksa Chart Party, which includes members loyal to Yingluck Shinawatra and her brother, another ousted former prime minister, Thaksin Shinawatra. Ubolratana declared herself a "commoner" candidate, reports The Nation, with the princess saying she would seek office not as a member of royalty but as a regular citizen. "For the Thai Raksa Chart Party to nominate me to be a candidate for prime minister is a display of rights and freedoms and shows that I have no privileges over the Thai public under the current charter," the princess is quoted saying on her private Instagram account. Ubolratana relinquished her royal title in 1972, when she married American Peter Jensen; the two had met as students at the Massachusetts Institute of Technology. The princess lived in the U.S. for years, but after the couple divorced in 1998, she then moved to Thailand, where she is still referred to as a princess and a member of the royal family. On Friday, Ubolratana was threatening to redraw lines of allegiance in Thai society, as a member of the monarchy who wanted to run against the leader of the pro-royalist military. But the king said that despite her previous revocation of the official title of princess, she remains part of the royal dynasty and is precluded from politics. Despite her assertion of commoner status, the princess's entry into politics quickly raised several legal questions, including how campaigns against her might be carried out without running afoul of Thailand's strict laws against speaking ill of royalty. Another issue centers on whether her candidacy would be legal under the constitution. Thailand's election commission officially has until Feb. 15 to accept or reject the princess's candidacy for the March 24 elections. But it now seems certain the king's rebuke will effectively quash her foray into politics. Shortly after Ubolratana's name was submitted, her political rivals sought to have her candidacy revoked. As the Bangkok Post reports, "the pro-military People's Reform Party asked the Election Commission to rule if the Thai Raksa Chart Party violated the election law" by making the nomination. The issue, the People's Reform Party says, is that Thai law bans political candidates from using the monarchy to bolster their campaigns. To conform with the law, the Thai Raksa Chart made the unusual declaration that its campaign materials for a national election will not use photos of Ubolratana. "I assure you that the party will neither post images of the princess anywhere nor use them for campaigning," the party's Secretary-General Wim Rungwattanachinda said, according to the Bangkok Post. The princess's full name is Ubolratana Rajakanya Sirivadhana Barnavadi. The registration papers that shook up Thailand's upcoming election listed her legal residence as "Boromphiman Throne Hall" and "inside the Grand Palace," according to the Associated Press.